When running back Mikel Leshoure was released and linebacker Kyle Van Noy underwent surgery for a core muscle-related injury last week, it continued the Lions' long-standing issues with their second-round draft picks. Since 2005, the Lions have selected a dozen players in the second round of the NFL Draft. Of those players, they have chosen no Pro Bowlers and just one long-term starter, recently departed safety Louis Delmas. 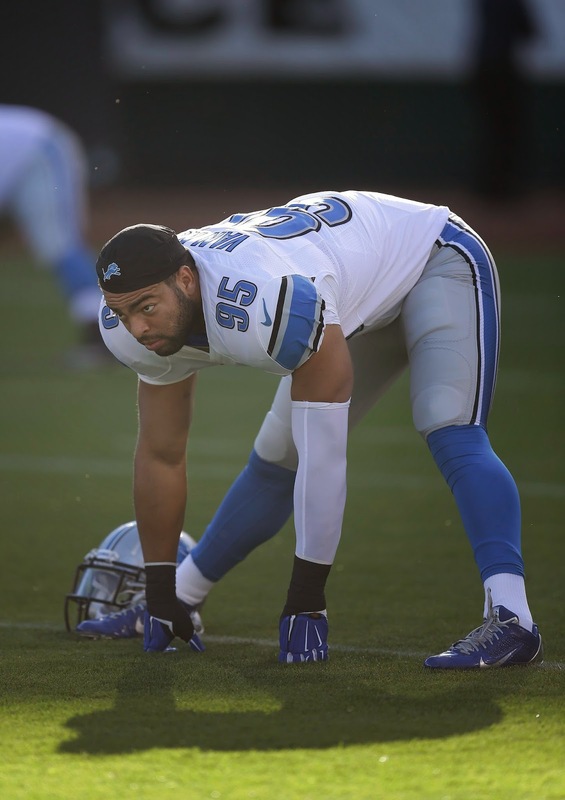 It doesn't appear to be a career-threatening injury for Van Noy. There is still hope for cornerback Darius Slay, the 2013 second-round pick. He is starting and certainly being counted on, but he did have a disappointing rookie season. Wide receiver Ryan Broyles (2012) has had significant knee ailments, but is obviously talented. But the rest of the list is very telling about the Lions' struggles, and how they have been very much draft related. Wide receiver Titus Young and Leshoure were second-round picks in '11. The Lions actually traded up to get Leshoure. The fifth-round pick they traded to Seattle in the deal was used by the Seahawks to select All-Pro cornerback Richard Sherman. Delmas was the '09 second-round pick and linebacker Jordan Dizon in '08. The Lions had three second-round picks in 2007, quarterback Drew Stanton, defensive Ikaika Alama-Francis and safety Gerald Alexander. In '06, it was safety Daniel Bullocks and in '05 defensive tackle Shaun Cody. It's well established how the Lions have rarely found gems later in the draft, but their run during the second round is utterly ridiculous. We'll see if it changes with Van Noy, Slay and Broyles, but it hasn't exactly been a promising start for any of those players. Pat, it call you can't see the forest for the trees. Best example was J Best, I know he was not a second round pick but close to it. They saw a great running back, which he was, but the reason he kept on falling in the draft was because he was bringing concussion problems to the NFL. I do like what the Lions do with there first pick and they need to take that philosophy into the second round. Then in the third or sometimes fourth round find players that fit their scheme. Once in the fourth round, to me, it becomes a crap shoot. If they can do better in the second round they will be at least a playoff team. Pat with regard to your 4 Points on Tigers column - 2 other things that have to happen - perhaps more vague than the specifics you mention - sorry - are eliminating stupid errors and finding a player on this team now that Jackson is gone to act as a spark plug for offense. Since AJax left us - there does not seem to be that single spark plug - Not Torri or Kinsler - not even Vmart. Victor hits but rest stay silent - same with each of these guys. Tonight so far after 5 Tigers already left 10 runners on. Need that same charge they had at begining of year where Davis seemed to spark dugout with base stealing exploits. You are right Pat, they don't stink - but it sure can be hard to watch - the hardest to watch "great" team ever to play the game. Damn near painful it is.